Dr. Leonard L. Berry is University Distinguished Professor of Marketing, Regents Professor, and holds the M.B. Zale Chair in Retailing and Marketing Leadership in the Mays Business School at Texas A&M University. He also is a Presidential Professor for Teaching Excellence. As a Visiting Scientist at Mayo Clinic in 2001-2002, he conducted an in-depth research study of healthcare service, the basis for his book, Management Lessons from Mayo Clinic (2008). Concurrent with his faculty position in Mays Business School, Dr. Berry is a Senior Fellow of the Institute for Healthcare Improvement studying service improvement in cancer care for patients and their families. Professor Berry has written ten books in all, including: Discovering the Soul of Service; On Great Service; Marketing Services: Competing Through Quality; and Delivering Quality Service. He is the author of numerous academic articles and an invited lecturer throughout the world. 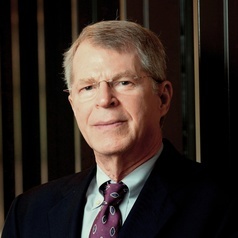 Professor Berry’s teaching and research have been widely recognized with many honors for his contributions, including The Sheth Gold Medal, The American Marketing Association (AMA) William Wilkie “Marketing for a Better World” Award, the Paul D. Converse Award, the AMA/McGraw-Hill/Irwin Distinguished Marketing Educator Award, the Career Contributions to Services Marketing Award from the AMA, and the Outstanding Marketing Educator Award from the Academy of Marketing Science. He is a Fellow of both the American Marketing Association and the Academy of Marketing Science. Texas A&M awarded him the Distinguished Achievement Award in Teaching (1990) and the Distinguished Achievement Award in Research (1996 and 2008), the highest honors bestowed upon its faculty members. In 2014, he was inducted into Arizona State University’s Carey School of Business Hall of Fame, the first doctoral graduate to be selected, and in 2015 the Mays Business School at Texas A&M awarded him the Lifetime Achievement Award for Research and Scholarship. A former national president of the American Marketing Association, Dr. Berry founded the Center for Retailing Studies at Texas A&M in 1982 and served as its director through 2000.